HOVER MOTOR COMPANY: General Motors concept cars were produced when anything was possible. 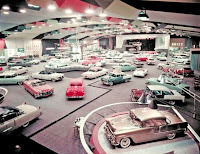 A history of the GM Motorama and Parade of Progress. GM first began to take their show on the road with the “Parade of Progress”. Starting in 1936, a huge production traveled from city-to-city in a caravan of semi trucks and wild custom-built busses. 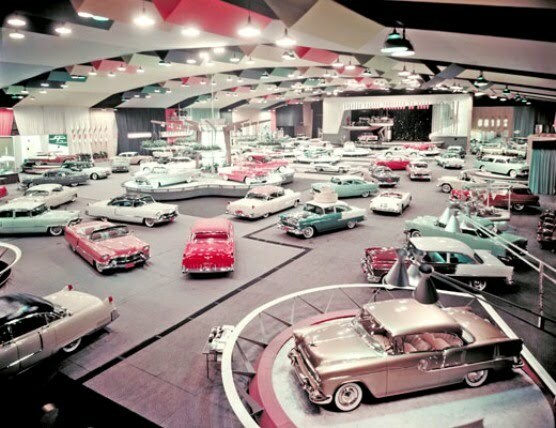 Huge tents were set up in which people could see the latest and greatest offerings GM had to offer. The Parade of Progress was meant to be educational as well, and it showcased products like washing machines and microwave ovens of the future. 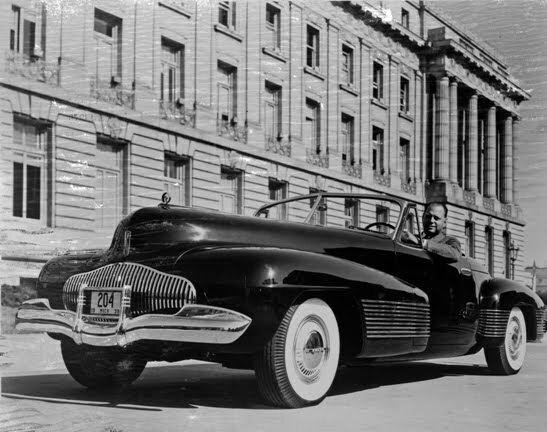 Then, in 1938, legendary designer Harley Earl fostered the Buick Y-Job. This is generally considered the first concept car, and the sleek, low two-seater showed not only what GM could do at the time, but it forecasted the direction of cars in the future. The Y-Job wowed audiences all over the country, and eventually became Earl’s high-profile daily driver for several years after. It still exists today, and is part of the General Motors Heritage Collection. GM still displays the priceless concept at important automotive events all over the world. The first Parade of Progress ended in 1940, but the idea proved to be so successful that a second Parade of Progress began in 1954. Another fleet of custom busses and semi trucks were put into service, and the publics’ appetite for concept, or “dream cars” was stronger than ever. Starting in about 1951, and continuing throughout the ‘50s, General Motors produced some of the most memorable, stunning concept cars ever. 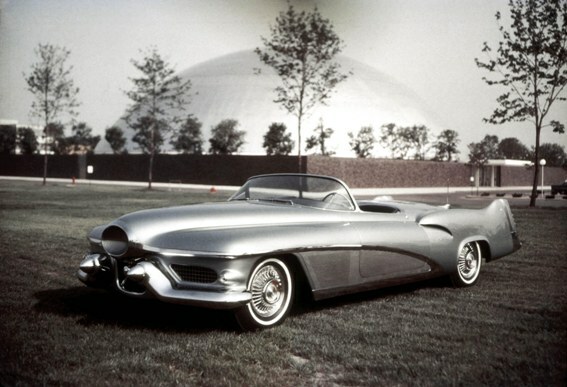 One of the most significant was the 1951 LeSabre. 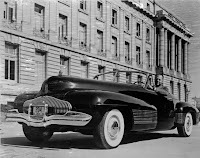 While technically not a Buick, Earl did seem partial to the brand, and its creation was the result of an in-house design competition between Earl and Buick chief engineer Charles Chayne, who developed the Buick XP-300. The LeSabre featured a rain-sensing automatic convertible top, magnesium and aluminum body panels (try taking that to the local body shop after a fender-bender), and an aluminum V8 that ran on a combination of gasoline and alcohol. It sounds pretty exotic—and it was—but Earl still managed to drive the LeSabre 50,000 miles on public roads. Today, it is stored in the General Motors Heritage Center, parked right alongside the storied ’38 Y-Job. General Motors still builds custom concept cars today, although their role has changed somewhat. Instead of combining a hodgepodge of futuristic ideas like the old cars did, new concept cars are generally very close to production cars that are about to enter the market. Cars like the new Camaro and the SSR were first revealed as concepts, and the production vehicles that they spawned had virtually the same appearance as the concepts. Over the years, General Motors has brought us some of the most fantastic concept cars ever to grace a turntable. Take a moment to sit through the slideshow below to see some of the more significant concepts that were created during the heyday of the dream car era.